Stocks of oil-refining companies can oftentimes be used for potentially profitable seasonal trades in Canadians’ personal investment accounts. Gas prices typically get the benefit of a $0.05 bump by the time the warmer weather rolls around. That’s because refining companies like Husky Energy (TSX:HSE) and Imperial Oil (TSX:IMO)(NYSE:IMO) and others are all happy to cash in on the desires of families that are looking to take advantage of the warmer weather and get out of the house. Not only are camping, outdoor sporting events, and festive celebrations more commonplace during the summer, but there’s also the need to keep kids who are out of school on summer break occupied and out of trouble — not to mention that summer is peak season for recreational vehicle (RV) use. But the even better news for Foolish investors today is that as the summer season fast approaches, there is a small handful of Canadian oil-refining stocks that are on sale for cheap right now. Cenovus Energy (TSX:CVE)(NYSE:CVE) is an integrated energy company. It’s my opinion that Cenovus was unfairly punished by the markets for the price it paid for the ConocoPhillips joint-venture assets. Maybe it did overpay — there’s no question the $17.7 billion was far from any kind of a bargain — but I look at the positive. With the ConocoPhillips purchase, Cenovus now has twice the production potential it had prior to the deal, and yet Cenovus shares trade at a mere fraction today of where they were a few years ago. Some of the value the market is assigning to Cenovus today is being wrapped up in the company’s credit obligations, but even acknowledging that, I still happen to think Cenovus stock is offering very good value here. Imperial Oil, which is famous for its Esso service stations, is another integrated energy refining company whose shares are trading near 10-year lows Shares in Imperial Oil are in the black for 2019 — up 15% so far through the first three months of the calendar year. Yet they are also trading at nearly half the value of their all-time highs reached prior to the 2008-09 financial crisis, even as the rest of the market has experienced a broadly felt recovery. Both Cenovus and Imperial Oil shares pay dividends, although in neither company’s case is the dividend of much substance. Imperial Oil shares paid a 1.96% annual dividend heading into the week, while Cenovus stock was paying its shareholders a 1.52% annual yield. Investors in search of more income, or yield, may favour an investment in Husky Energy instead. Husky Energy shares currently pay a 3.53% dividend, and the stock, which entered the week just above $14, is only a dollar or so off its 52-week lows. From my vantage point, these seem like solid value plays across the board. 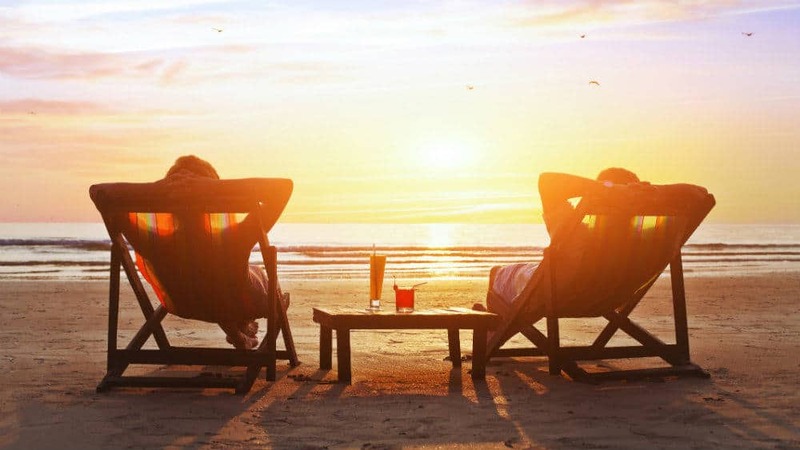 The fact that we also happen to heading into the seasonally favourable summer vacation season should only help matters for investors looking to fuel up on these three refining stocks.